Free West African Dance Classes! What Free West African Dance Classes! 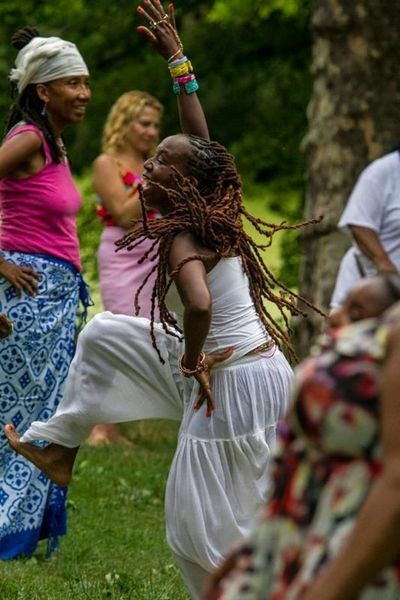 Join Reverend Nafisa Sharriff and the West African Dance Class Family for Free Classes every Monday and Wednesday evening, 6:00pm – 8:00pm at Countee Cullen Community Center/PS 194, 244 W. 144th Street New York, NY 10030. Free! Reverend Nafisa is a Master Teacher and Choreographer of traditional West African Folklore from the Old Malian Empire. She is the recipient of the 1996 Ethnic Dance Award and numerous Community Service commemorations. Throughout her illustrious 44 year dance career Reverend Nafisa performed with Stevie Wonder, Whitney Houston, Spike Lee, TC Carson, C&C Music Factory, The Chuck Davis Dance Company & Kairaba West African Dance Company. Her television credits include performances on the Richard Pryor Show, Dance Black America & Positively Black. For more information about Reverend Nafisa Sharriff please visit: www.ethoh.org.